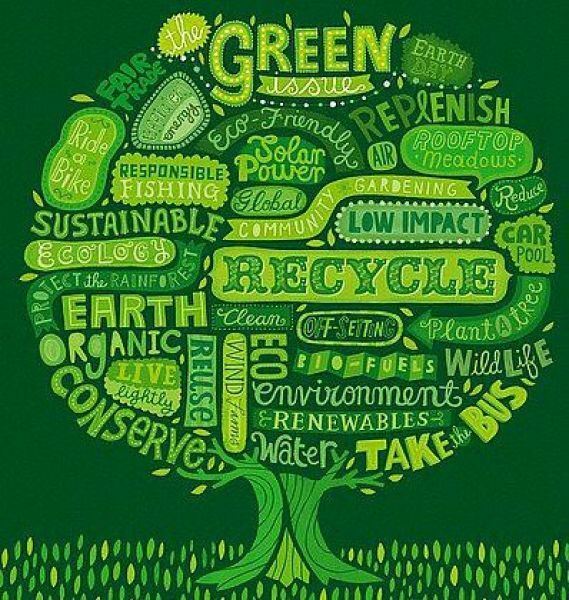 Earth Day is not considered a “religious day” however … why not? Really, when you think about it; isn’t part of our “job” or responsibility, as Christians, as humans, to take care of the Earth that our God created? He created the Earth FOR US! so YES! It is our job to take care of it! 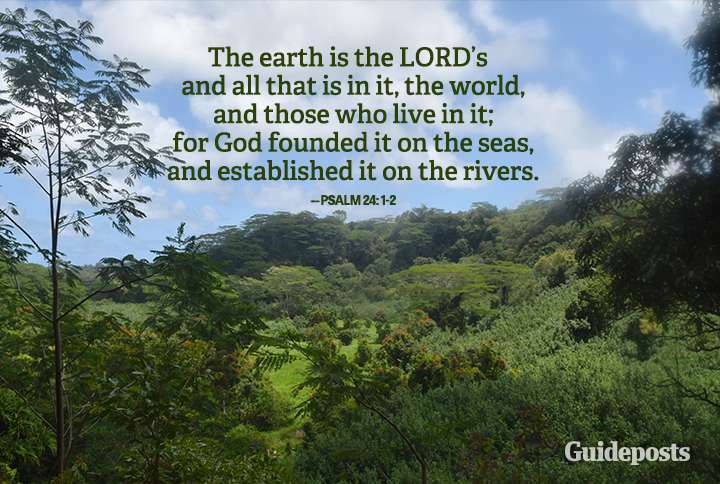 This is GOD’s Earth and he is loaning it us! and don’t we care more for items that aren’t ours?! I mean, I know I do; if I am borrowing my mom’s car, I am so careful with it, extremely careful! This Earth will be our children’s and our children’s children someday, we need to do what we can to care and love it! You must treat the earth well. It was not given to you by your parents. It is loaned to you by your children.” An African proverb that is a saying of the Kikuyu of Kenya, who have long had a keen sense of their responsibility to care for the earth. Save the water bottles and buy a reusable water container. It is estimated that more than 60 million plastic bottles end up in landfills and incinerators every day. Save electricity – turn some lights off or switch to energy efficient light bulbs. Don’t waste food – make a meal plan, for breakfast , lunch, dinner and snacks – then stick to it! If you have a plan, you are less likely to waste food; which saves money and less trash. however, if you do throw food away, you can make a compost. Composting means recycling nutrients back into the ecosystem, which keeps food out of landfills and waterways and enriches the soil! Ride your bike or walk instead of using your car. Is there at least one errand you run this week, that you can bike/walk to? Or take the bus! seriously though, for just antibacterial counter spray, I would buy at least one bottle at $5 (for easy math) a month. $5 x 12 months equals $60 a year for just 1 bottle of cleaning spray (and this is generous because many household use more). AND THEN the bottle you empty has to be recycled (hopefully) or thrown away. And your wasting! If you use one Norwex cloth, it is half this cost and helps the environment! when brushing your teeth or washing hands, turn the facet off. Don’t run the dishwasher or washing machine until it’s full. Those half-loads add up to gallons and gallons of wasted water. Install a rain barrel. Can use this water for your garden or lawn. Maybe skip the daily shower, you can save gallons and gallons of water. Really there are so many ways to help our planet, its just putting some effort and time into figuring what will work for you! Biking might not work for you or you might not have space for a compost but you could cut down to shower every other day or instead you add a few more dollars to your trash pickup to get a recycling canister. There are ways to help, you just have to do it! Together if we all can make one change, just one, it will make a difference! Imagine what we can do as a community when we all care…We can make big things a reality! Thanks for reading friends and have a blessed day! Hey friends! So I have to share when I find something I love! So I just ordered these black leggings and I absolutely love them! They are a real deep black, soft, thin fabric, flexible and cheap! So you can not go wrong with these! Hope you get an opportunity to enjoy them as much as I do! Every lady needs a pair of black leggings and it was defiantly time for me to get a new pair! Good evening! The sun was shining but I’m seeing that snow again…I am oh so ready for some warm temps, as I am sure many of you are! I had a friend this winter suggest a new author to me and so I headed to the library, but later that day I knew I wanted this book in my collection! It was inspiring, to say the least! so I ordered from my Amazon Prime and couldn’t receive it fast enough! If I had to choose 3 words to describe this book, they would be: honest, inspirational, and Funny! She was so relatable but encouraging at the same time. I needed so much that was in this book-especially working on not comparing myself to others, being the BEST me! God only created one of me so I need to be the best me ❤️ not the best Dawn, Kelly, Candy, etc. etc. etc. but ME! Christy! They offer it for the Kindle, Audio, soft and hardcover. The pic below will bring you to the hardcover option for only $13. 29. If you have Prime and order today, you could be reading it by Wednesday night! But seriously, its a good buy! I truly hope you enjoy and are blessed reading this book! Tonight this was on Our local Christian radio and I was intrigued! Intrigued by the point of view that was shared but backed up by truth! People who are pro-life believe that ALL humans, including the unborn, have a right to LIFE! Do you not believe that all humans have a right to life? A right to live? Having this condition has made me greatly aware of how many foods have Gluten, it really is crazy! So one mistake I made, was that I assumed if one brand was gluten free so was the other and that is NOT the case! So AGAIN please check your food labels! Last June, actually Fathers Day, I choked on a piece of steak and to make a long story short, I was diagnosised with EOE. I had no idea what that was and I had never even heard of it. But since then, I have learned more and more and I have had 4 (tomorrow 5) EGDs. Since the last one in October, I have been on a Gluten and Dairy free diet. EOE is an allergy to certain foods, so we are trying an elimination diet. So hopefully tomorrow, after my next EGD, this elimination diet worked and my tests look better. But then again, I may have another elimination added to my diet. This gluten and dairy free diet, has been tough, not only for me but for my family as well. we’ve made some big changes, but they have all been so supportive and working on this right along with me! This is something I am forever grateful for, our family is a team and we got each others back. Missing some of my favorites like pizza, lasagna and ice cream makes me sad…but it really could be much worse and I am so thankful my family is standing right next to me!